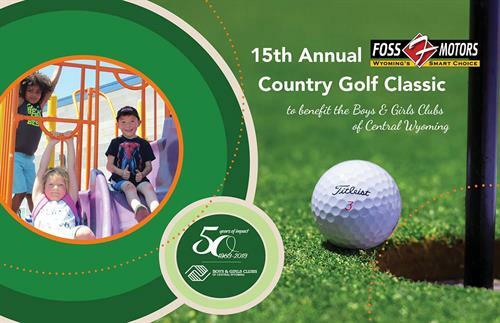 Round up your buddies, co-workers, neighbors, or anyone who will join you in a round of golf to benefit youth at the Boys & Girls Clubs of Central Wyoming. All proceeds directly benefit local kids. Team fees include 18 holes of golf, unlimited range privileges, beverages on course, tournament gift, and dinner. Prizes will be awarded for hole-in-one, closest to the pin, longest drive, longest putt, 1st-4th place teams and last place finish.